The Bristle Brush preview in Photoshop is great if you have a large screen, but on smaller setups it can get annoying. It’s easy to switch off if you know where to look. 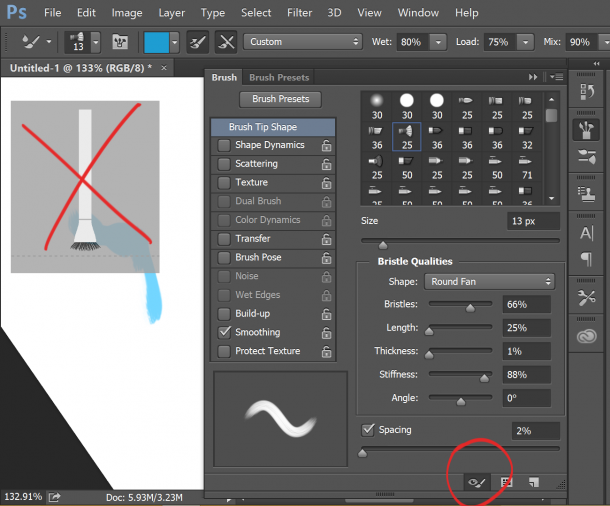 Head over to Window – Brush (or Window – Brush Presets). A window opens which has three little icons at the bottom. The furthest on the left toggles the bristle preview on and off. Thanks to Corey Barker for this tip.